From today, Brisbane airport workers will have a new public transport option to access the Aerotech Park precinct, a notoriously difficult-to-access industrial space several kilometres from the international and domestic air terminals. Brisbane City Council’s route 303 bus service from Eagle Junction to Myrtletown via the Aerotech Park precinct comes into effect replacing the 304 bus service as a simpler, more direct journey with improved connectivity to Doomben and Eagle Farm railway stations during peak afternoon periods. Airport precinct workers will have direct access to Pandanus Avenue, located in the Aerotech Park precinct, with new stops located outside Qantas number 1 hangar and outside Toll Holdings. Route 303 comes at a time of increased commercial growth at Brisbane Airport with around 20 of the 430 plus businesses now operating within the Aerotech Park precinct. Brisbane Airport Corporation CEO and Managing Director Julieanne Alroe says the airport is currently ‘home’ to over 19,000 people working across a wide range of industries. "The more than 3,000 people who travel to and work in the Aerotech Park precinct each day will benefit from the convenience of this improved service," Alroe says. "Workers rely on a number of different means to travel to and from work, including car, bus and train, and the additional service will provide a more accessible route for many." 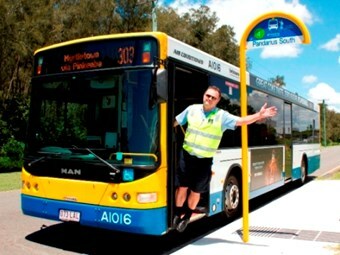 TransLink’s 303 bus route is in addition to route 509 Garden City to Airport Drive introduced last August, which services Airport Village connecting the Direct Factory Outlet, Cannon Hill, Westfield Carindale and Westfield Garden City shopping centres.